Our organisation is set to offer free services to the common mwananchi and to respond to the emergency issues like fire,medication,death,weddings in our beautiful Nairobi county. This is the statement from the founder, Hon. Mike Mbuvi Sonko, Senator Nairobi City County. THE ESSENCE OF TRUE LEADERSHIP IS TO ADD VALUE to the lives of those you lead during your period in leadership. I am kicking off this year by focusing more on SERVICE DELIVERY to Wananchi. I have managed to buy ambulances for Nairobi Residents that will give FREE Medical Services and Response to Medical Emergencies. 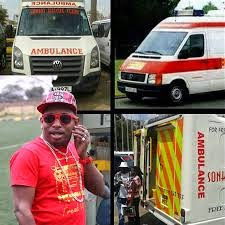 The ambulances are managed by SONKO RESCUE TEAM and run on a 24 hour basis. 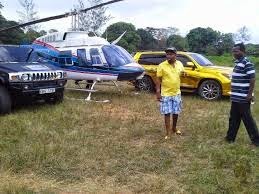 God forbid, but should your loved one pass away, we will helptransport their bodies from Nairobi to any part of Kenya for free. DRUNK DRIVING TOO is a problem we must face. We have lost many innocent lives to it. I have therefore purchased 5 breakdown trucks and vehicles that will offer free Breakdown Services and Operate on a 24 hour basis. 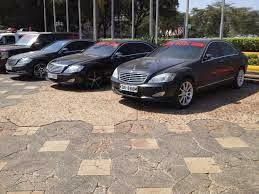 If you are drunk please DON’T DRIVE, you can contact Sonko Rescue Team and they will safely tow or carry your car for free to your door step or the nearest petrol station of your choice. I HAVE ALSO PURCHASED 4 Land Rovers (Discovery) that will carry out Mashinani security Patrols within Nairobi County. This is a deliberate effort for reducing the levels of crime and insecurity in our county. we are working closely with the police. I have done my research and I found out that there are places where normal fire engines are too big to fit.So, I have purchased small fire engines that will be able to penetrate areas with narrow paths to respond to any fire emergencies quickly and on time. I have also purchased two big water tankers that will deliver free clean water to Nairobi residents who will be in need of clean water. We also have two large garbage collection trucks that will make sure that our beautiful streets, roads and estates stay clean. I am working on donating a fully equipped mobile police booth containers to city estates experiencing insecurity. I will be willing to work closely with the Nairobi County Government and the national Government for a better Nairobi. For more details about our projects, contact Sonko Rescue Team. 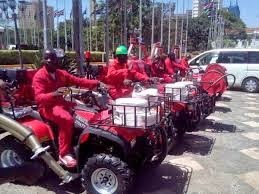 We as Sonko Rescue Team are glad to announce job opportunities to all the youth from every part of kenya.We need 45 strong gentlemen and 55 ladies who are ready to work with deligence as we expand our philanthropic services to Machakos and Nakuru. Qualifications:Kenyan I.D,physically fit,aged between 18-45,clean medical report. Training will take place on:2nd May 2015 as from 9am at the city stadium Nairobi Kenya. All candidates are instructed to register with the HRM through(0700 327562) before the day to get the gate pass. We will close our registration after we get the qualified 45 men and 55 ladies.First come first served. Join and be part of us as we create a smile to the less fortunate......God bless Kenya. OUR GREATEST FULFILLMENT IS KNOWING THAT HOPE HAS BEEN RESTORED IN SOMEONE'S SOUL,A SMILE IN SOMEONE'S FACE,COURAGE AND CONFIDENCE IN SOMEONE'S HEART.